New Jersey divorce proceedings often tackle issues including child support, child custody, alimony, and much more. What most individuals do not realize is that some of these issues may be resolved on a temporary basis during the divorce process. For many co-parents, the ability to receive financial help through a temporary child support agreement during the months or even years of divorce proceedings can be a great help. 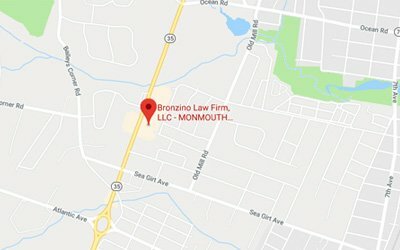 The divorce and family law legal team of The Bronzino Law Firm takes pride in securing temporary child support agreements for parents in local Ocean County communities including Wall, Asbury Park, Brick, Point Pleasant, Toms River, Monmouth County and across all of Eastern New Jersey. Our smaller firm size allows our temporary child support attorney to discuss your unique needs and concerns when navigating the divorce process. This emphasis on the attorney-client relationship sets us apart from one-size-fits-all legal services provided by larger firms. Call our office today to speak with a qualified and experienced legal professional in a free and confidential consultation regarding your potential temporary child support agreement or other legal issues pertaining to your divorce. Simply put: yes. Our Ocean County temporary child support agreement attorney frequently assists clients and their co-parents with drafting an amicable agreement without litigation. The courts may actually favor this type of arrangement when possible. With the help of an attorney, temporary child support agreements signed outside of court are just as enforceable. 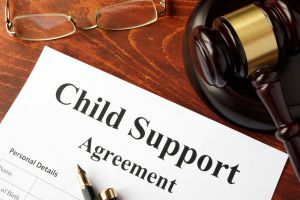 However, many co-parents have disputes regarding child support, and may need a formal temporary child support hearing to reach an agreement. In this case, you may choose to request a temporary child support hearing. The result of this hearing will be a pendente lite agreement, which loosely translates to “pending litigation”. Temporary agreements during divorce may take affect as soon as either spouse files for divorce and will terminate when a final agreement is signed. When filing for divorce, it is a great idea to declare that you will be seeking child support to formally begin your window of eligibility. Child support payments are determined using a standardized calculation as per New Jersey regulations. It is important to understand that each case will still be determined on a one-by-one basis, and calculations are not a hard and fast rule. Temporary child support is no different, and will generally use the same factors to calculate the child support to which you are entitled or that you owe. In legal terms, there is no material impact of a temporary child support agreement on the eventual child support terms of your divorce settlement. In reality, it is important to secure a temporary child support agreement which is sustainable long term for a number of reasons. The most obvious reason is that your temporary child support agreement may be in effect for months or even years, and can be a financial detriment to be paying more than you should or receiving less than that to which you are legally entitled. 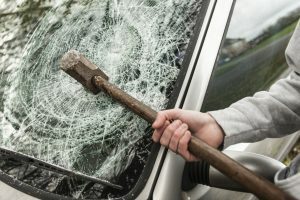 Furthermore, it is easier to fight for the terms that you desire in your temporary agreement and bring that to your divorce proceedings as the status quo than it is to form a temporary agreement then argue that the terms were unfair or untenable. While it is always possible to secure a different outcome in your eventual child support agreement, it is critical to take your temporary agreements seriously as well. 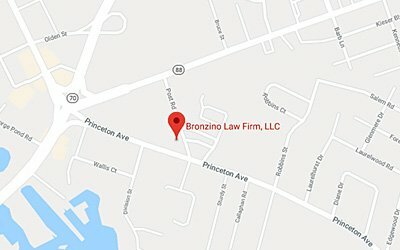 Temporary child support agreement lawyer Peter J. Bronzino, Esq. has extensive experience serving parents from Ocean County towns such as Point Pleasant, Wall, Toms River, Brick, Neptune, Spring Lake, Manasquan and all of Eastern New Jersey. Our firm believes in keeping our clients informed and involved throughout the divorce legal process, which allows us to deliver personalized and dynamic legal solutions. If you are looking for an attorney who will take the time to work with you and represent the best interests of your family, look no further. If you have any questions regarding temporary child support, temporary child custody, or temporary alimony agreements during divorce, please contact us online or through our Brick, NJ office by calling (732) 812-3102 today for a free and confidential consultation.